Taken by Québec City | APEX Public Relations Inc. Exactly a week before Canada Day the province of Québec celebrates La Saint-Jean-Baptiste, also known as La fête nationale. There’s a chocolate museum in the city. 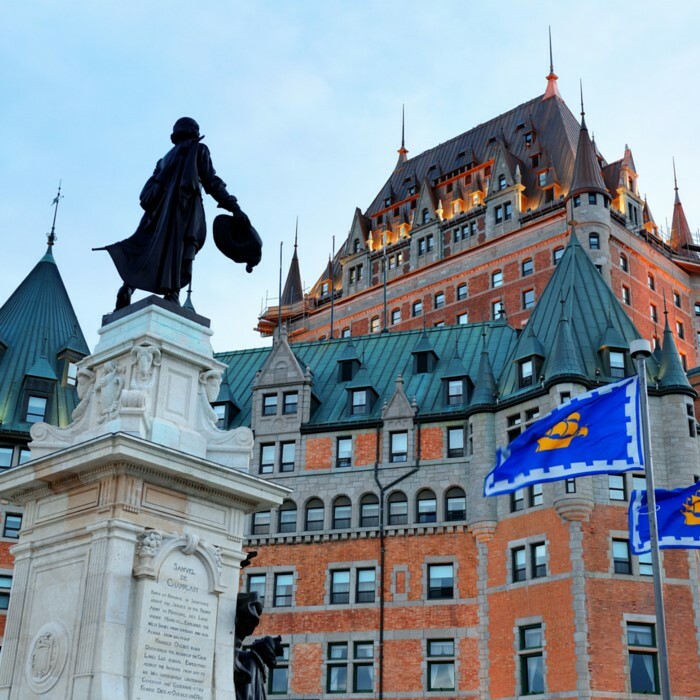 “Québec” comes from “Kébèk” in Algonquin, meaning narrow passage like where the waterway narrows in the spot where Samuel de Champlain is said to have founded Québec. Canadians pronounce Québec a number of different ways, as I found out in a recent national survey. “Kay – beck” is the French pronunciation of Québec (listen via Wikipedia). The Google Consumer Survey (English only) ran May 23-25, 2015 and has a Root Mean Square Error of 5.4%. Tip: In France a hashtag is called a mot-dièse, but l’Office québécois de la langue française prefers mot-clic. Diane Bégin is an account director at APEX. Her ancestral roots are across the province of Québec so she regularly finds reasons to visit. See where else we go in our great Canadian scavenger hunt.